The books look great: very professional and everything we expected. Thank you for everything. Sandvik is a global leader in materials technology, mining and construction, and tooling. 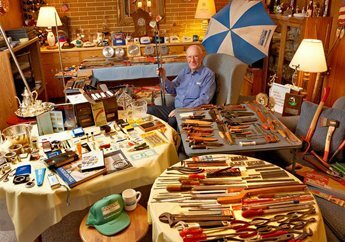 The company was founded in Sweden in 1862 and is active on every continent; the United States is its single largest market. 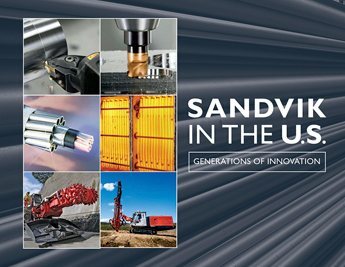 We’re delighted to have produced this history of Sandvik in the U.S., where the company’s operations encompass more than 40 locations and subsidiaries. Because we were initially faced with a relative lack of visuals, which is often a problem in decentralized companies, Sandvik leadership helped us reach out to employees across the country. 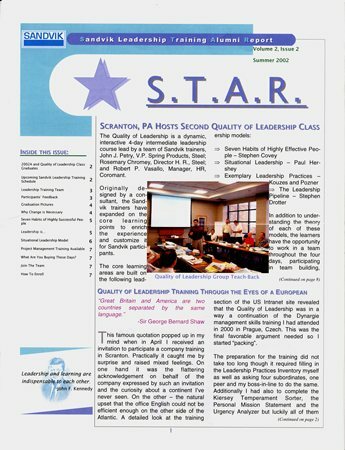 We gathered photos and artifacts such as newsletters, pored over them, and scanned hundreds of images as small as a thumbnail. We also commissioned some new photography. The result is a 128-page book with almost 400 photos! Chronological text is punctuated by colorful sidebars in four categories: Sandvik All Around You, Sandvik Values, Then and Now, and A Special Place to Work. A six-page illustrated Timeline summarizes key events from 1857 to 2012. Most important: the book highlights values that have remained constant even as Sandvik has grown: innovation, close cooperation with customers, and employee dedication. The cover features products from all of Sandvik’s business groups against a background of extruded steel tubes produced at Sandvik’s PEXCO plant in the Scranton area. Newsletters like this, gathered from Sandvik U.S. employees, provided useful information in the research stage – and visual interest in the finished book.